You will also receive a copy of my e-zine: Soul Wise Musings. We honor your privacy and your email will never be sold, rented or released to anyone ever!!! Lead a life where each day is filled with more joy and abundance than the day before. You can have the peace of mind that allows you to step forward to a fuller more joyful and abundant life! You can make decisions with great clarity & confidence. You can easily save time & money and avoid effort. When you have the tools that help align your life and your business on purpose decisions become easier and you automatically live a life In-Joy! Finding out who you are is not always easy but it does not have to be dramatic. Finding out how to make choices that fuel your life and business is a moment away. First, It takes time for the chatter to quiet down and to still our emotions. In learning the tools to do so, we begin to hear. ~ to guide us to powerful inner peace, joy and abundance. When we do this, we are living soul wise. 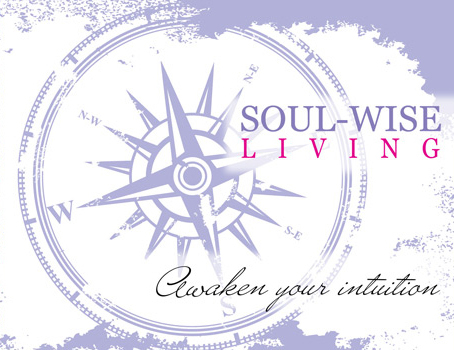 Discover how to hear your inner gps so you can lead an expression filled life of Joy by grabbing your Soul Wise Audio Compass—fill out the form at the top of this page and hit the SEND MY COMPASS button! It will be on its way in no time and so will greater joy in your life.